System said implementing Epic freed them from a legacy system that had them flirting with meaningful use failure, and ultimately redefined their system. 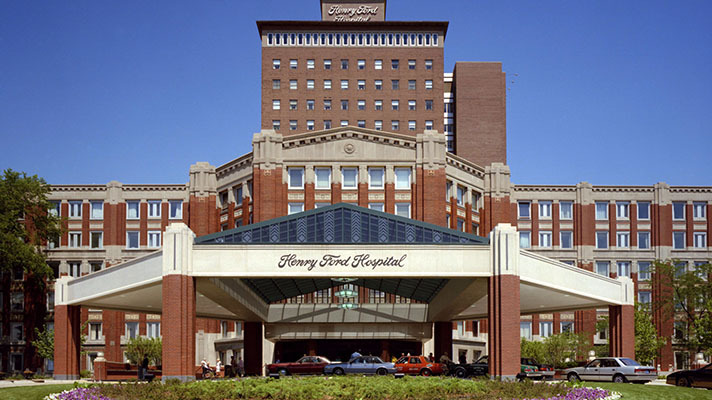 For Detroit’s Davies Award-winning Henry Ford Health System, that came around 2009 as they faced a significant challenge thanks to a splintered legacy record system that involved, among other things, 25 different systems where patients could be registered. That would never stand up to ICD-10 or meaningful use and the pressure was building. “We no longer could use our environment and we knew we had a deadline. That was our challenge,” said Henry Ford’s Vice President of Clinical Transformation Geoff Patterson. They committed to implementing the Epic EHR system and launched Project HELIOS, Henry Ford’s electronic integrated information system. “The goal was to strengthen our commitment to improving people’s lives. It was all about the patient. We were looking for standardized process and workflows and using technology to get us there,” Patterson said. With buy-in at all levels and oversight from system leaders, Henry Ford made the commitment early that they would standardized for system-wide consistency, training would not be optional and they planned for the post-live and long-term sustainment. Most importantly, the patient would be at the center of all decision making when it came to standardization or any of the coming changes. “So if it impacted them negatively, it was actually challenged as decision,” Patterson said. Henry Ford deployed Epic across the system and created an enterprise data warehouse and a central business office that housed a unified revenue cycle department. All facilities had to standardize and come up with uniform processes, right down to the pharmacy committee standardizing the formulary. First, HELIOS allowed them to insource about 650 IT consultants with a retention rate of about 98 percent. Transcription was a big area in need of change. Doctors in the system used transcription services often and it was costly, with a burn rate of several million dollars a year for transcription and dictation vendors. Once they started using Epic to document instead, they saw about $135,000 a month in savings, along with another $100,000 in monthly savings thanks to standardization of forms and electronic distribution which greatly reduced paper, postage and processing. Pharmacy Formulary Standardization saved them another $83,000 a month too. They also now have a master patient index. So when an event happens at Henry Ford, it all gets documented the same way. They standardized contracts, terms and conditions and were able to eliminate maintenance fees and other costs that came with their previous overly varied environment and migrated all their legacy applications so that the data is now stored in the current system. Patterson said they would not have achieved meaningful use without Epic, grabbing almost all MU opportunity to the tune of about $68 million. They have also achieved HIMSS Stage 6 with their inpatient and ambulatory operations and have set a goal of HIMSS stage 7 within the next 18 months. “We’ve got stage 7 envy, but we’ll get there eventually,” he said.